Indian scientists have discovered a hitherto unknown effect of the tropical weather phenomenon known as Madden-Julian Oscillation, which plays an important role in determining the fate of Indian summer monsoon. The Madden-Julian Oscillation (MJO) is an eastward moving disturbance of clouds, rainfall, winds, and pressure. It circles the planet along the tropical belt in 30-80 days. During its global ride, it intensifies over three regions — the eastern Indian Ocean, south of the maritime continent and the western Pacific Ocean — and transfers a part of its energy to the underlying ocean. 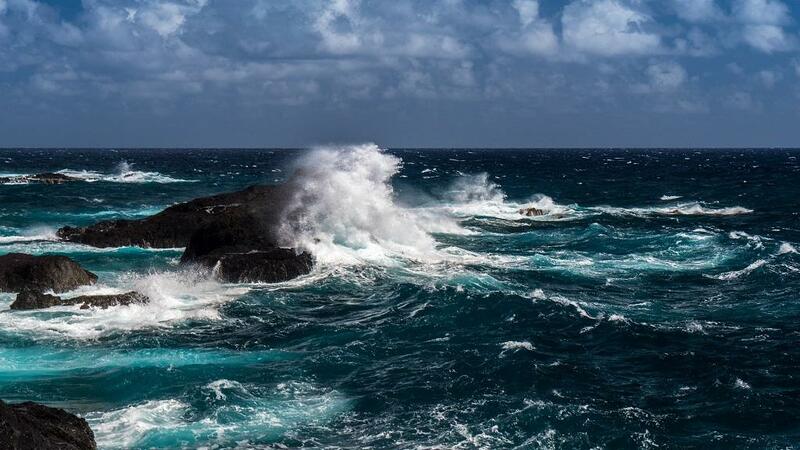 The scientists have now found that when winds of MJO reach eastern Indian Ocean, particularly over the North West Australian Basin, its energy gets transferred down to the ocean bottom, leading to an oscillation of the entire water column. This results in an inter-play of underlying topography of the basin and non-uniform density of seawater across the water column. It subsequently gets radiated out through fast-moving ocean waves that eventually invade the entire tropical Indian Ocean within some hours. “These waves carry a lot of energy and momentum. The kinetic energy contained within the North Indian Ocean due to these waves is about 20 Peta Joules – similar to explosion of hundreds of atomic bombs. It will be interesting to explore various manifestations of this energy and how it is eventually dissipated,” explained SSC Shenoi, director of Hyderabad-based Indian National Centre for Ocean Information Services (INCOIS) while speaking to India Science Wire. The scientists have found that the sea level in the Indian Ocean rises and falls by up to four cm every 30 to 80 days because of the movement of the water column. This assumes importance in the context of forecasting impact of cyclonic storms because MJO is a low-pressure system that facilitates cyclone formation over Indian Ocean. Some of these cyclones intensify and inundate coasts of the Indian subcontinent. Thus, the waves generated by the MJO in the Indian Ocean can add to the impact of cyclones. In addition, the rise and fall of sea level leads to exchange of as much as three trillion tons of water between the Indian Ocean and the Pacific Ocean. Such large mass exchange can influence polar motion of the earth and length of the day, whose variability is of utmost importance to the accuracy of the Global Positioning System (GPS). “Our findings are highly relevant since MJOs are expected to intensify in the wake of global warming,” Dr. Shenoi said.